When football fans witnessed Barcelona’s dazzling 5-0 demolition of rivals Real Madrid, they would have been forgiven for assuming that this was an unprecedented performance, but they would have only had to look back three weeks for a similar exhibition in Portugal, when Porto crushed Benfica 5-0 at the Dragão Stadium. The country’s most successful team of recent times thrashing its celebrated capital city opponents? Check. Inspired by a South American phenomenon? Check. Guided by a progressive young coach? Check. After finishing a disappointing third in the Portuguese League last season, Porto replaced their coach Jesualdo Ferreira with André Villas Boas, a protégé of José Mourinho. Although this is his first coaching role at a leading club, the 33-year-old has already stamped his authority on the team, which has played some beautiful, free-flowing football this season. So much so that Porto are unbeaten in the league, which they lead by an astonishing eight points after 13 games, and are very much favourites to regain the title. Their inspiration has been a young Brazilian striker named Givanildo Vieira de Souza, better known to the football community as Hulk, largely due to his powerful physique. His presence was badly missed by Porto last season, after he was suspended for a few matches for his part in a post-match brawl following an ill-tempered match against Benfica, when he was found guilty of attacking match stewards in the tunnel. His goals might have made all the difference to Porto in the championship run-in and would almost certainly have avoided the ignominy of failing to qualify for the Champions League for the first time in living memory. "Andre Villas Boas - remind you of anyone?" This represented a slap in the face for a club that has become accustomed to filling its trophy cabinet in the past few years. Before 2009/10, Porto had been victorious in the Portuguese championship four consecutive times, which meant that they had collected six Primeira Liga titles in seven seasons. Their history in the last decade also features two European successes under the guidance of the Special One, when they beat Celtic 3-2 to secure the UEFA Cup in 2003 and triumphed 3-0 against Monaco to win the Champions League the following year. Unfortunately, during this period the club was also tainted with the whiff of scandal for its involvement in the so-called “Golden Whistle” investigation, when it was claimed that referees were offered bribes before two of their matches during the title winning campaign in 2004. They were subsequently docked six points and fined €150,000, though some thought they had got off rather lightly. Importantly, they were still allowed to compete in the Champions League, even though they were initially banned, as on appeal the authorities ruled that the time limit for dealing with the match fixing allegations had passed. All in all though, the “noughties” has been a highly enjoyable era for Porto. Their success on the field of play has been matched by their performance off the pitch, as the club has reported profits in each of the last four years, which is very good going in these difficult economic times. Although the club tends to make sizeable operating losses, it more than compensates for the shortfall by making equally large profits on player sales. This is a hugely important activity for Porto’s business model, which can most clearly be seen in 2006, which was the last time the club made a loss, almost entirely due to the club’s decision to retain players that year in order improve their chances of winning. Similarly, the 2010 profit of €0.1 million was €5 million lower than the previous year, which is more or less the reduction in profit on player sales. The other key driver in Porto’s finances is revenue from the Champions League. 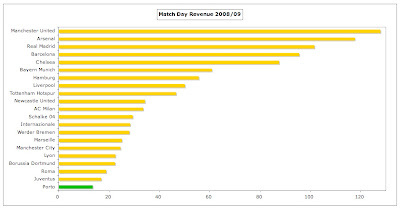 Indeed, the €10 million reduction in 2010 revenue was largely due to the team’s earlier exit from that competition. However, Porto are very skilled at balancing their books, so they compensated for most of the decline in revenue by cutting their costs by €7 million, mainly in the wage bill, though they were also helped by €3 million lower interest payments, due to the reduction in interest rates. Porto’s cash flow from operations (EBITDA) is fairly healthy, averaging €33 million over the last four years, once non-cash items like player amortisation and depreciation are added back, but this is again very reliant on the profit made from player sales. If this were excluded, then EBITDA would be slightly negative. 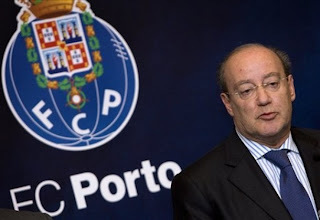 Although president Jorge Nuno Pinto da Costa has been criticised by some supporters for the club’s policy of selling their best players year after year, a cursory glance at the financials is enough to understand why this approach is necessary. The relatively low revenue, combined with wages high enough to remain competitive, mean that Porto need to make money in the transfer market to survive. They have been remarkably consistent in the profits they have managed to generate from this activity in recent years: 2008 €35 million, 2009 €40 million and 2010 €35 million. They are well on course to repeat the trick in 2011 following this summer’s sales of Bruno Alves to Zenit St. Petersburg for €22 million and Raul Meireles to Liverpool for €13 million. "Bruno Alves - To Russia With Love"
Even though Porto cannot afford to pay very high wages, they still have much to offer South American players. Not only is Porto itself a very successful club, their regular participation in the Champions League provides a perfect platform for emerging talents to display their wares. Moreover, players can easily obtain work permits and embark on the path towards a EU passport, which makes them a more attractive prospect to clubs in countries with more restrictive regulations. Finally, Brazilian players do not have to struggle with any language issues. On the flip side, Porto are forced to reinvent themselves every season with no player being considered irreplaceable. In this way, when Carvalho left for England, he was replaced by Pepe, whose exit was compensated by the emergence of Bruno Alves. Even with this massive turnover of players, the club has managed to maintain its successful record, consistently winning the Portuguese league, though arguably the departure of three key players to France in the summer of 2009 was a bridge too far. In the same way that Porto often buy a percentage of a player’s rights, they sometimes also sell part of a player in order to raise cash. There was an example of such a trade only last month, when the club sold percentage of three recent arrivals for a total of €8 million (37.5% of Joao Moutinho, 35% of James Rodriguez and 25% of Walter). "Falcao - no, not that one"
They also often structure their transfers in a way that they can share in a player’s future development, e.g. Aly Cissoko’s deal with Lyon included a 20% sell-on clause, while the agreement with Lyon for Lisandro Lopez could be worth an additional €4 million depending on sporting achievements. While hesitating to use the phrase “wheeler dealers”, Porto are definitely very nimble on their feet in the transfer market, leaving many of their more illustrious (and staid) peers in the shade. Ironically, given the vast sums that Porto received from Lyon in 2009, the French club is often considered to operate a similar business model, sharing many of the characteristics of their approach to the transfer market. Up until the last two years, that was certainly the case, before Lyon embarked on a spending spree of their own recently, though their president has promised that they will revert back to type in the future. Furthermore, in relative terms, Porto are even more reliant on money made from player sales, due to the fact that Lyon enjoy a far higher turnover. This is the essence of Porto’s problem, for the club is a big fish in a small pond. The Portuguese market is a small one with many clubs struggling financially, so the only realistic way for Porto to keep up with Europe’s elite from the wealthier nations is to sell the players that they develop. In that way, they can just about find enough money to fund a wage bill that will allow them to be competitive. 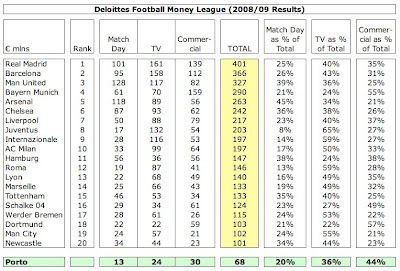 We can see the magnitude of the problem by examining the Deloittes Money League for 2008/09. There’s not a Portuguese name in sight among the top twenty listed, which is no surprise given that Benfica is the only Portuguese club to make an appearance on this august list, back in 2006 (in 20th position). Porto’s revenue of €68 million in 2008/09 leaves them miles behind wealthier clubs. To place that into context, Real Madrid’s revenue of over €400 million is almost six times as much. Even a club like Newcastle United, which was relegated at the end of that season, generated 50% more money. This highlights the enormous financial challenges confronting clubs from outside the Big Five countries (England, Spain, Germany, Italy and France). 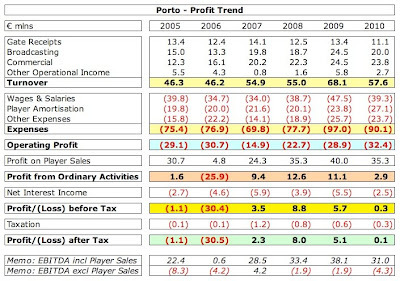 By a strange coincidence, Porto’s revenue is almost exactly the same as that of Ajax, who face the same sort of issues. In terms of Premier League clubs, the nearest revenue equivalent is Stoke City, who have made a lot of progress recently, but, with the greatest respect, their record is nothing compared to Porto’s. From that perspective, there is no doubt that Porto have been punching well above their weight in Europe, regularly reaching the last 16 of the Champions League. At this point, I should probably clarify that this analysis is based on Porto’s consolidated accounts, which include the following companies: PortoComercial (sponsorship, licensing and merchandising, 93.5% owned), PortoEstadio (stadium, 100%), PortoMultimedia (70%) and PortoSeguro (insurance, 90%). That said, the results are still very largely based on the operations of the football club. 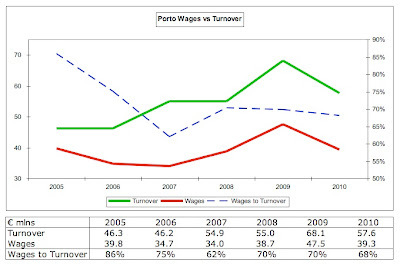 The importance of player trading to Porto’s business can be seen very well in the above graph. If profit on player sales is considered as “revenue”, its contribution has been notable in the past few years, averaging around 60% of normal turnover. Put another way, the club makes three times as much from the transfer market as gate receipts. This would be very worrying if Porto had not shown that they are capable of maintaining this “revenue stream” year after year, with the exception of 2006, when, of course, the club made a big loss. 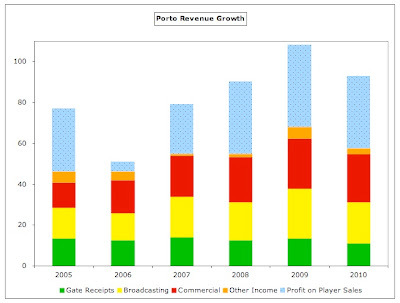 It is imperative that Porto continue along this path, as the revenue growth in other areas has been very limited. Gate receipts are actually down 17% in the last five years, while television, the impetus behind revenue growth in many countries, has only risen €5 million in the same period. The star performer has been commercial income, which has doubled to €24 million. Although total revenue growth of 24% has outpaced cost growth of 19%, the absolute growth is smaller, meaning that the operating loss has slightly grown over this time. Whichever way you look at it, the club needs to buy and sell. As we have seen, broadcasting is not as important for Porto as other leading clubs with the 2010 revenue amounting to only €20 million, comprising €8 million from the domestic deal and €12 million distributions from UEFA for the Champions League. 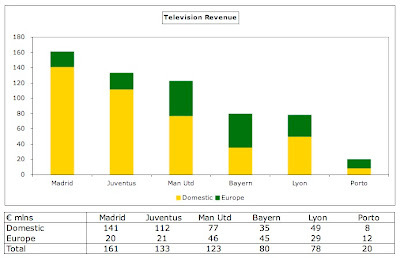 Even with the boost of European revenue, which represents over half of their total TV revenue, this is fairly pitiful compared to the major leagues. If we compare Porto’s revenue with the clubs that earn most from broadcasting income in those other leagues, we can see that they earn between four and eight times this amount. The total value of the Portuguese Liga TV rights is only around €50 million a season, which compares very unfavourably to others: England €1.2 billion, Italy €900 million, France €700 million, Spain €500 million, Germany €400 million. That might be expected, but the Portuguese contract with Olivedesportos (matches shown on SportTV) is also behind Turkey €250 million, Holland €100 million and Greece €54 million. This is not a collective deal, so the lion’s share of the TV revenue (about €24 million) goes to the traditional big three clubs in Portugal: Porto, Benfica and Sporting Lisbon. From that perspective, Porto’s €8.4 million is not too bad (up from €7 million in 2008), but to put this into context, Arsenal also finished third in their league and received around €62 million, which is nearly eight times as much - and the Premier League TV money will further increase this season. In fact, Arsenal on their own received more than all of the 16 clubs in the Portuguese Liga combined. That’s why the Champions League money has been so important to Porto’s finances over the last few years. 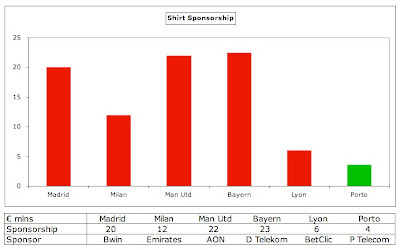 This is most evident in 2004, the year when they won the tournament and received €25 million, which was almost 40% of their turnover that year, but even this year when the revenue was down to €12 million, that was still worth 20% of their income - and that excludes gate receipts and sponsorship increments. Porto use a slightly strange accounting policy when it comes to reporting Champions League revenue, whereby as soon as they have qualified for the competition, they immediately book the guaranteed element for the following season. So the 2009/10 revenue for participating in the group stage (worth €7.1 million) was already reported in 2008/09, hence the reduction in the 2009/10 accounts, even though Porto actually received more from UEFA that year: €18.7 million in 2010, up from €14.5 million in 2009. What is certain is that qualification for the Champions League has been fairly lucrative to Porto, €92 million in the last seven years, though they have again been short-changed because of their misfortune in playing in a small country, more specifically a country with a small TV audience. Although Champions League participation fees and performance prizes are the same for every club, the share of the television money from the market pool is dependent on the size/value of a country’s TV market, so the amount allocated to teams in other countries is more than that given to Portugal. For example, last season Porto reached the last 16 and received €5.4 million from the market pool, which was much less than the €18.1 million distributed to Chelsea for reaching the same stage. Actually, Porto’s share of the 2009/10 pool was higher than they are accustomed to receiving, as the allocation also depends on the number of representatives from a country that qualify for the group stage, and there was only one from Portugal that year, compared to two or even three in previous seasons. Porto’s bottom line will therefore be adversely impacted in 2011, as they have only qualified for the Europa League, which distributes much less money than the Champions League with the guaranteed fees worth only €1 million. In fact, if Porto were to battle their way through countless matches and win the trophy, they would still only get €6.4 million, though that’s better than nothing. Hence, the determination that the club’s absence from the Champions League will last no more than a year. Only first place in the Liga ZON Sagres guarantees qualification, but the runners-up can also get there if they make it through the qualifying matches. The latest UEFA coefficient rankings suggest that Portugal may get a third place from next season, which would give Porto an even better chance of returning to Europe’s premier competition. That would obviously please their fans, but it would no doubt also bring a smile to the face of their bank manager. And there’s more: as the 2009 annual report stated, “In addition to the direct financial results awarded by UEFA, the presence of FC Porto in the great showcase of European football, where players strongly shine, is essential to their valorization as economic assets of the society.” Not the greatest translation in the English version of Porto’s accounts, albeit scoring high marks for lyricism, but, in short, this means that the Champions League is also the perfect shop window for Porto’s selling policy. Where Porto have done quite well is in increasing their commercial revenue, especially sponsorship and advertising, which has reached €14 million. They have an interesting shirt sponsorship deal with Portugal Telecom, which features one company tmn (mobile network) on the home shirt and another meo (IPTV) on the away shirt in the same way that Arsenal used to have Sega and Dreamcast on different kits. This is a long-term six-year deal worth €21.45 million and runs until June 2011. However, this is still on the low side by international standards, equivalent to only €3.6 million a season, while Bayern Munich, Manchester United and Real Madrid all have deals worth over €20 million. It might seem absurd to make comparisons against clubs of this stature, but Porto will have to beat these teams if they want to lift the Champions League trophy again. Similarly, the kit deal with Nike brings in less than €3 million a season (four-year deal worth €11.1 million, potentially rising to €14.8 million depending on team’s success, for the period 2008-12). Although Porto have been very active in merchandising initiatives, including revoking an agreement with TBZ following poor performance and setting up several club stores (co-branded with Nike), revenue from this source only comes to just over €2 million a year. A similar amount is generated by corporate hospitality, which is contracted out to a company called EuroAntas. Gate receipts are also nothing to write home about at just €11 million, which is the lowest that they have been in the last six years. 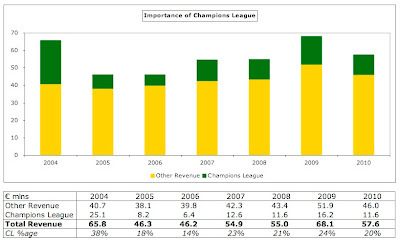 The €2 million decline is partially attributed to the earlier Champions League exit with the previous season’s glamour quarter-final against Manchester United bringing in €0.9 million alone, but is also symptomatic of the general economic malaise affecting Portugal, which resulted in the average league attendance falling 14% from 38,800 to 33,500. The poor results probably also played a part, as the average so far in the current successful season has climbed back up to 37,800, which is just behind Benfica, who have the highest crowds in Portugal at the moment. However, as we have seen, this does not produce much in cold hard cash with the gate receipts being worse than every club in the Deloittes Money League. There may be some match day income hidden away in commercial revenue, but the harsh reality is that the club’s revenue here lags a considerable distance behind its foreign competition. Manchester United’s match day revenue of €128 million is about ten times higher than Porto’s. It’s difficult to compete with such financial might, especially as this difference accrues every single season. 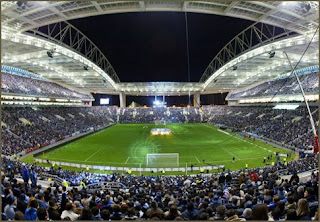 The club is housed at the Estádio do Dragão (Stadium of the Dragon), which replaced their old stadium, Estádio das Antas, in 2003. It seats over 50,000 spectators and its name is derived from the dragon on Porto's crest, which is also the nickname of Porto fans. The new stadium was built for the European Championships held in Portugal in 2004 and cost €98 million, of which €18 million was contributed by the taxpayer. To further support the funding, naming rights have been sold for each stand, mainly to divisions of the principal sponsor Portugal Telecom, but also to other companies like Coca-Cola. The stadium is actually owned by EuroAntas, which granted Porto a 30-year lease in 2003 to use the facilities for an annual payment of around €1 million. It is also used for other events like the “Race of Champions” featuring the top drivers in motor sport. In addition, the complex features a multi-sport arena nearby for Porto’s basketball and handball teams. Moving onto costs, even though expenses are higher than revenue, it is clear that Porto strive to reflect any movement in the revenue in the costs line, so when revenue surged 24% in 2009, costs grew by a similar amount 25%. On the other hand, when the 2010 revenue fell 15%, cash costs (excluding player amortisation) were also cut by 14%. This is a tough balancing act, as the wages have to be held at a minimum level in order to attract the right quality of player. As the annual report explained in its quaint English, “the company bets on the investment of the team with players of high quality … to ensure the best sporting results, which necessarily requires adequate compensation to their status.” Nevertheless, Porto’s wage bill of €39 million is very low by international standards, a long way below big spenders like Barcelona €263 million, Inter €205 million, Real Madrid €187 million and Bayern Munich €165 million. An interesting equivalent would be Celtic, but even their wage bill of €43 million is higher. Of more interest to Porto fans might be the wages of Arsenal, the team that eliminated them from the Champions League last season, which are €130 million – over three times as much. Wages actually reduced 17% in 2010 from €48 million to €39 million, partly due to worse sporting performances, which resulted in lower bonus payments. Porto have stated that 25% of staff costs are related to the performance of the team, so in a good sporting year, these costs will increase ceteris paribus. The split of this year’s staff costs is: players €23 million, technical and administrative staff €10 million, directors €2 million (on the high side), insurance €1 million, other costs €3 million. Porto also specifically mention in their annual report the Webster Law having an inflationary impact on salaries. This regulation allows a player to unilaterally terminate his contract after three years (or 2 years if he is over 28) to move to a foreign club, only compensating the club with a sum equivalent to the remaining salary for the time left on his contract. Clearly, that could spell disaster for Porto’s business model and its reliance on money from player sales, hence the decision to raise salaries in 2009. Given these pressures, the club is justifiably proud of keeping its wages to turnover ratio below UEFA’s recommended upper limit of 70%. This ratio actually fell to 68% last year, which is very impressive if you consider the constraints imposed by the low revenue. The trend in player amortisation, namely the annual cost of writing down the cost of buying new players, is more concerning, as this has been steadily rising over the last two years. In the four years between 2005 and 2008, it had held steady at around €20 million, but it has now shot up to €27 million. Of course, this can quickly be reduced with the sale of a couple of players that were bought for high fees, so I would expect this trend to reverse in the near future. In any case, it’s still much lower than those sides that have spent really big in the transfer market, such as Manchester City €83 million, Barcelona €71 million, Real Madrid €64 million and Chelsea €57 million. Like most other Portuguese clubs, Porto have a lot of debt. Given the imbalance between expenses and revenue, this is hardly surprising, but it is exacerbated in their case by the cost of building the new stadium. 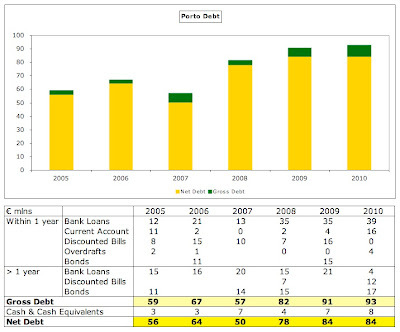 That said, the debt is still on an upward trend, though it has remained at €84 million for the last two years. This comprises €76 million of bank loans plus a €17 million bond less €8 million of cash. According to the annual report, “the company managed to relieve the financial pressure by issuing a new bond.” This bears 6% interest per annum and is repayable in December 2012. What was reassuring is that the bond issue was 4.5 times over-subscribed, reflecting the market’s support for the club. This is not the first time that Porto have tapped the debt market, as they issued a similar three-year bond in 2006, which was repaid on schedule in December 2009. Of more concern is the security provided to guarantee the loans with the accounts listing all sorts of collateral, including Champions league revenue, stadium naming rights, sponsorship contracts and transfer receivables. The club is obviously aware of this issue and stresses that it can service the debt by referring to the net debt/EBITDA ratio. In Porto’s case, this works out as 2.7 (84/31), which is not great, but I’ve seen worse. The ratio effectively indicates how many years’ earnings would be required to pay off all the debt and is considered alarming if it rises above 3-4. The other aspect of debt that is important to clubs like Porto with their frenetic activity in the transfer market is how much they owe to other football clubs, which stands at €25 million. This is in line with previous years: 2008 €23 million, 2009 €26 million. However, other clubs owe Porto more than twice as much with an incredible €56 million of receivables. This appears to be a vital part of Porto’s transfer dealings, as the sum is unchanged from last year, while 2008 was also high at €46 million. The largest debtors are Lyon €12 million, Marseille €10 million and Inter €6 million. Porto supporters might be surprised to know that the club is still owed money two years after the sale of Quaresma to Inter. This is one reason why Porto’s balance sheet shows €23 million of net assets with assets of €183 million being higher than liabilities of €160 million. The surplus is partly due to the value of player registrations held on the books, which increased last year from €58 million to €69 million. Of course, this accounting value is significantly below the players’ market value, which has been estimated at €132 million by Transfermarkt. In particular, players developed by Porto’s academy will have zero value in the accounts, but are obviously worth something. However, there are risks facing Porto’s strategy, as the transfer market has been deteriorating recently, with all clubs affected by the recession, and values of players have plummeted, e.g. Zlatan Ibrahimovic’s price was slashed to €24 million just 12 months after Barcelona paid €70 million, while Diego moved to Wolfsburg for €16 million a year after Juventus bought him for €25 million. The statistics show that Europe’s top five leagues spent almost 40% less on transfer fees in the summer of 2010 than the previous year. On top of the adverse market environment, the advent of the UEFA Financial Fair Play Regulations could also have a detrimental effect. These will force clubs to break-even if they wish to compete in European competitions, so expenses have to be covered by revenue. As a major expense element is the player amortisation arising from transfers, it seems logical that clubs will endeavour to reduce their transfer spend, which might well harm selling clubs like Porto. Having said that, Porto have managed to beat the odds so far with the transfer of Bruno Alves this summer among the top ten worldwide. Maybe it just means that only those clubs with superb scouting networks and an excellent track record for developing players will thrive in the new world – and Porto certainly fit the bill there. It is clear that they still have many players who would be in demand with Manchester City being only one team linked with a €30 million move for Hulk. Even so, it makes it even more important for Porto to produce players from their “Dragon Force” academy, as the club may have less money in the future to spend on bringing players in. This is why they have invested substantial funds into improving the Vitalis Park facility, which now features 11 grass pitches and 7 synthetic pitches. There is a risk that players would then be transferred to richer clubs at a younger age, but the financial arguments are pretty compelling. The fact is that the Portuguese League does not generate enough money on its own for its clubs to compete in the upper echelons of the Champions League. Many clubs are struggling financially, over burdened with debt, leading to seven clubs from the top flight recently seeking assistance from the LPFP (Portuguese Football Federation). Although this theoretically represents financial aid to improve sports facilities, it looks more like grants are being given out to enable the survival of these clubs. This is the situation in which Porto operates, so their focus on making money from selling players is perfectly understandable. They have become the ultimate football traders, buying low and selling high with great success, which should be applauded, especially as their results on the pitch have rarely suffered. It’s a delicate balance, however, as seen by their failure to qualify for this season’s Champions League. This year looks much more encouraging though with a very good possibility that the league title will once again return to the Dragons’ Den. Didn't Porto sell Deco to Barcelona, and not Chelsea? Aaargh, you're right. I'll correct that. Thanks. I am interested in the relationship between FC Porto, Jorge Mendes and GestiFute. Gestifute (Mendes's company) appear to be buying stakes in players so that Mendes can use his influence to secure them big money transfers. Supposedly Jose Mourinho (one of GestiFute's clients) recommended Bebe (who GestiFute owned a 70% stake in) to Manchester United. All seems a little insidious to me. Just a small correction: James Rodriguez' rights weren't sold in the end. Porto issued a statement in which they declared the deal had been cancelled, though it wasn't specified why this happened. Great drill down on my club. I have wanted to see one done for some time. I would add colour on a couple of points. Firstly the TV situation. This is the biggest roadblock to revenue growth in Portuguese football. The overall marketplace may be small but the Portuguese are voracious consumers of TV, and specifically football on TV. In the UK, football matches only creep into the Top 20 most viewed progs in Euro or World Cup years. In Portugal, every year between 2003-2007 90% of the Top 10 most viewed progs each year were football matches (even more bizarrely in 2003, the 2nd most viewed TV prog that year was the inauguration of the new Benfica stadium live. Most watched was Porto-Celtic UEFA cup final… but not by much). So, it’s an economically small advertising and subscription market but there is high demand for TV football as a product. The problem is Olivedesportos monopolise the market and squeeze the money out of the value chain. How? Well, they own shareholdings (albeit small) in clubs, they own the only sports Pay TV network (Sport TV), the radio station that transmits live commentary on matches, newspapers, sale of matchday static advertising, live streaming of games, sale of foreign TV rights etc. Oh, and they have another small shareholding in Portugal Telecom who run the fixed line and broadband telecoms market in Portugal. They are big cheeses and they’re on their own. They have to give one free-to-air-game a week to a big 4 channel but that’s easy enough. The clubs happily pocket this, buy more players above their means and do the whole boom and bust thing again. Small clubs are in a similar boat. I guess the way I looked at how much TV rights in Portugal were undervalued was to look at how much Sport TV made in subscription revenue and advertising and then how much got paid out to clubs in TV rights per annum. Compared to any of the bigger European leagues it was the lowest percentage figure of any of them (although I last looked at this in 07). Ok, that’s the ranty bit done as I could go on for ever. Secondly, I note the comment on Mendes above. I worked with him over the summer and he’s a pretty stand up guy (and very well connected and very smart). He’s not Mino Raiola. There’s a lot said about the Bebe deal but the bottom line was that Utd wanted him and Guimaraes wanted to sell him. That’s the key to Mendes: he only moves his players on when the clubs want to cash in and when the player wants to leave (even CR9 got told to stay put by Mendes). He never gets bad mouthed by managers or coaches with the tell-tale line “the player is being badly advised” (see: Paul Stretford). Hopefully Bebe will show he’s got what it takes. Anyone who has been watching Utd reserve matches will know he looks a prospect. Where did you get the figure for Anderson's move to United? The figures I have heard before would indicate that the maximum United could have paid if all extras and addons came to fruition would have been £17 million. At 2007 exchange rates that would be about €25 million, at current exchange rates about €20 million. That was a maximum figure and even though United won 2 leagues and the Champions League and hes made a few international appearances since he joined, its unlikely all of those addons were actually met. Very interesting article. I wonder why the focus on FCPorto... Are you somehow linked with the football business? As it appears, you establish Porto as a role model for sucess. Where did you get all the figures? Are you impartial? Are you an FCPorto supporter? I put the article in my blog. Thanks for the praise, but I would prefer it if other sites linked to my blog, rather than simply copying the entire article, so that I can get the traffic my efforts deserve. Also, your blog gives the credit for the article to the GoalHi site, which is nothing to do with me. Thanks. This blog is primarily about the football business, so I have written about many teams from different countries (see the list of clubs in the labels on the left). 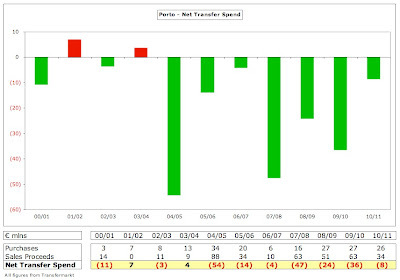 I am not a fan of Porto per se, but chose them to review for two reasons: (a) because they have an interesting business model; (b) a few people had sent me requests asking me to take a look at their finances. Almost all of the figures are taken from their published accounts. Finally, I try very hard to write balanced reviews, noting both strengths and weaknesses of a club's operations. Yes, that value might be a little "toppy". Unfortunately, there is rarely public agreement on the value of transfer fees. For example, the Transfermarkt website lists Anderson's sale at €27.7m, while I took the €31.5m (rounded to €32m in the table) from a list of transfers from Portugoal. I check those values directly with Porto's own accounts and many of them agreed, so I made the assumption that they were all correct (Anderson's value is not specifically itemised in the accounts). In any case, the central point remains valid, namely Porto have made a huge amount of money from player sales. Thanks for the additional insight into Portuguese television. Interesting stuff. I'm astounded at the figure United paid for Anderson and this seems to confirm a trend for overpaying ludicrously over the odds for players in recent years. United need a Director of Football ASAP who really understands value. @TSR(ambler): the figure is correct, as it is the one that the club registred at the StockMarket Authority (CMVM). Maybe the translated Report didn't show, but it is also referred there. @ManUtd Supporters: Anderson is arguabily the best player we have ever had, in terms of potential. He played Nr.10, creative Midfielder, not even as a Box-to-box like Lampard or Steven Gerrard! He had pace, he had astonishing skills, he had magic in his feet, potential to be the best in the world. Why Oh why he was played at Nr.6 or 6/8 is beyond my understanding. When he left, I found outragingly CHEAP to sell a player like that. He was all but ruined playing hime away from GOAL anda taking away his joy in the game for a role any average player can do. Sorry, bad english: I found the Anderson sale to be for lesser value than what we at Porto generally thoght he was worth. He was sold fora CHEAP PRICE. That's waht I meant. Anderson seems to have lost a yard of pace and seems to have developed the body shape of a truck driver. In any case spending £22m plus circa £8m (over 3yrs) in wages on a player with "potential" borders on recklessness. In my opinion if any club is going to spend that sort of money then it would make more sense to buy a proven player. An example would have been Wesley Sneijder who cost about £13m and if you add three year wages of £18m this would bring a total investment similar to that of Anderson. Portugal needs to combine leagues with neighbors Spain or with France. Teams like Porto would double their budget overnight with better TV deals. Hulk seems destined to go to a EPL team due to his size and strength but I think Chelsea and not Man City will get him. I think the UEFA fair play act is going to really hurt teams like Porto. But on the other hand more and more teams (like Lyon, Man City) are willing to raise their wage rates so while a few big teams can't overpay for players more teams can pay for good players (meaning Porto could move 5 guys in 1 offseason for the same net profit as the past). Very interesting article on the curious case of FC Porto. I was wondering if you thought that this model worked only because of having a common language with Brazil, where they can find loads of talented unheard of players? I know other clubs around Europe try this but I don't think it would be nearly as successful in Belgium or Switzerland for example. excellent article. im a Oprto fan and indeed as a fan im always upset with the possible lost of competitive that we can have after a sale, but the reallity is that without this sales Porto could not be the team that it is. Your analisys is only at the last 5 years, but if we look back we can see that since the 80´s. the management of Porto always worked in the same wat. overall the figures we also should think how its possible to such success regarding to the yearly sport activity and at the same time to get the profitality. the chairman of Porto is the oldest chairman in activity. He has almost 30 years of leadership in the same club. The persons that are with them are the same for the last 30 years. One thing I'd like to add here is that the model is not, as one might think initially, buy a future star cheap and sell him for the big bucks a year or 2 later. It's buy 10 nameless players for little money, find 1 star among them and sell him a year or 2 later for the big bucks, keep 2 decent players or sell them for decent bucks and transfer the rest to smaller Portuguese teams (usually on loan until the contract runs out). Just the impressive scouting isn't enough for the system to work, they also need the numbers. Magath did something similar in Wolfsburg when he discovered Dzeko and Grafite and turned Mizimovic into a success, there were a dozen or so surplus players that didn't work out and that his successor had to get rid off after Magath left (in addition to those Magath himself already weeded out). "Much of this is down to Porto’s world-class scouting network, which is especially formidable in South America." I subscribe many of the top conclusions - but not this one which is way too flatering, not corresponding to the truth - at all. 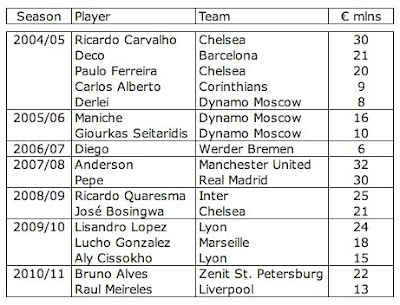 You just need to look at the details of the top 13 most profitable sales since 2004: only 3 out of 14 players were scouted & bought from outside Portugal: Lucho, Lisandro and Anderson. 2 of the remaining 11 players were home grown (B Alves and R Carvalho), and the remaining 9 were all spotted and bought in the Portuguese league (Deco, P Ferreira, Maniche, Bosingwa, Quaresma, Meireles, Pepe, Derlei, Cissokho), the vast majority actually being Portuguese themselves. Moreover, even the only 3 players in this list that were spotted & bought from abroad weren't exactly a market secret: Lucho was already a regular in the Argentinian national team; Lisandro had just been the top scorer in the Argentinian League; and Anderson had been considered the best under 20 year-old player in the world. The fact is that FCP has made, since 2004, a considerable financial LOSS in the balance of buys & sales of players that were hired outside Portugal, to the tune of more than 100M€ (even taking the 3 above mentioned players into account already). I think that's a clear indication that FCP's scouting is very far from being that great. What we [disclosure: I am a fierce FCP supporter] are particularly good at is at picking very promising players from smaller Portuguese teams and make them grow & sell them at a high price: Deco, P Ferreira, Derlei, Meireles, Bosingwa, Maniche, Pepe and Cissokho are great examples; and it didn't took any scouting at all to spot & evaluate these players when we bought them (a TV subscription and a glimpse at sport newspapers would have been enough). How much money did Porto make on the sale of Carlos Alberto to Corinithians after that fabled CL run and the quasi-rise of the Brazilian super club (which also bought Carlos Tevez)? That transfer always seemed odd - a Portuguese team buys a Brazilian young, grooms him, and sells him....back to Brazil. @Adil And James rights (35% to be precise) were actually sold, but yes, at that time they weren't. Subscribe to Adil's comment, it is good to see the acknowledgement. We can argue about scouting, yes, but Porto's scouting, although you are right, has more to it. 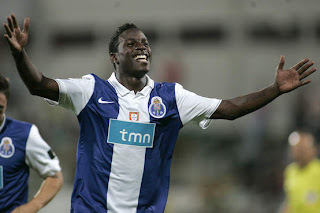 Firstly, Porto's scouts actually pay attention, no only to the player, but also to other clubs interested. Porto was interested in Falcao, for instance, way before Benfica, but didn't make a move except when needed to. Why? Lisandro. And as soon as Benfica was interested in him, Porto made an offer, and *surprise surprise* won. Futebol Clube do Porto has more than 300 (yeah, three-hundred) scouts all over the world, being 5 or 6 the leading and managing ones. Oh, and Porto's scouting has some times been praised by the international world. I think it was France Football who said "PSG spent €€€ on renown players who do squat, whilst FC Porto from Portugal buys better players, who do great, for few bucks, and then sell them for the same or more than what PSG spends. I think it's time for PSG to invest that money on Porto's scouts, instead buying poor players." These are not the exact words, but is the exact idea, since i'm typing this by memory. Great blog. Had a little explore. Any chance you could have a look at Parma? "Oh, and Porto's scouting has some times been praised by the international world. I think it was France Football who said "PSG spent €€€ on renown players who do squat, whilst FC Porto from Portugal buys better players, who do great, for few bucks, and then sell them for the same or more than what PSG spends." It's nice for our ego but to be honest France Football doesn't know a fraction of what I know about the details of FCP buys & sales. Once again: we've done very, very well at following that strategy with players from the Portuguese league (P Ferreira, Deco, Derlei, Pepe, Bosingwa, Meireles, etc), but not with those coming from abroad. And once again, it didn't take any scouting to notice these players in the Portuguese league. Another FCP fan that had a great pleasure to read your article, thanks. Fully agree with the comment from Brunovski regarding Olivedesportos. They abuse from the poor financials of Portuguese clubs and their inability to negotiate together. Its consistent strong profit is clear enough to understand this unbalance. I live in the Netherlands and it is amazing that they manage to get twice as much from tv fees, giving that football here is so much less watched than in Portugal. This jornalist don't know nothing at all!! Paulo Ferreira, Derlei, Pepe were stolen from Sporting! YES! Sporting made a proposal for the players that were refused. And they went to Porto for half the price that Sporting offer!! We call this corruption in Portugal, but unfortunately Portugal is the Africa of Europe and nothing happens to Porto managers/leaders. THIS IS THE REAL TRUE!!!!! Didn't Sporting RELESE Pepe?! And the other clubs didn't want twice the profits from sales, eh?... Sounds kind of fishy... Do you know what heartburn is? Great article and great blog!Sometimes even I wonder how we have managed to achieve so much (like six international titles) with so little money! A general question please: what is included in "other expenses" item. Summer trips abroad, stadium costs, admin costs etc are ok but what makes it up to 24 m € for Porto, or other clubs? 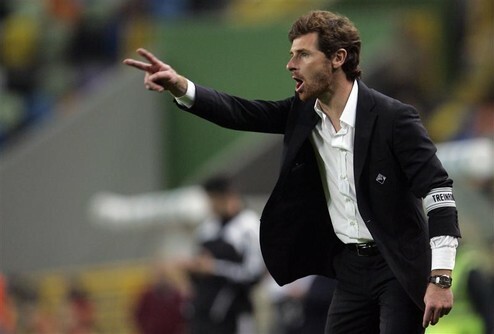 It is not Andre Villas Boas first appearance as head coach. Last season he coached Academica. "...if Porto were to battle their way through countless matches and win the trophy, they would still only get €6.4 million, though that’s better than nothing." I would love to know what your reaction was when they actually went and won it? !